Covering for a product to reveal ourselves. 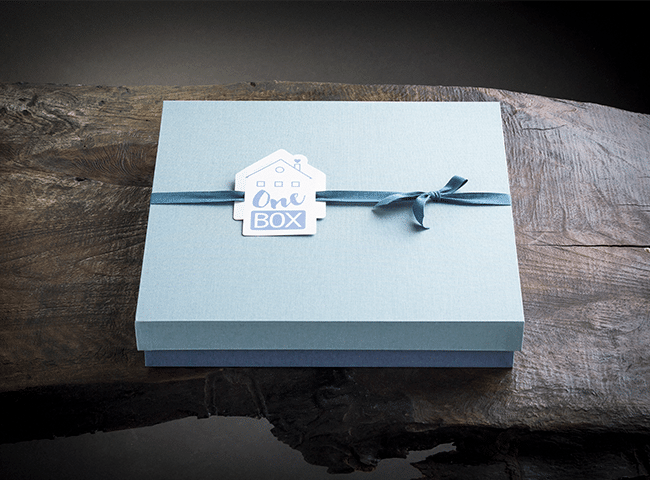 The world of packaging communicates and surprises, and is always on the look out for a potent and captivating message. Containing and protecting a product is a small part of its roles and functions. 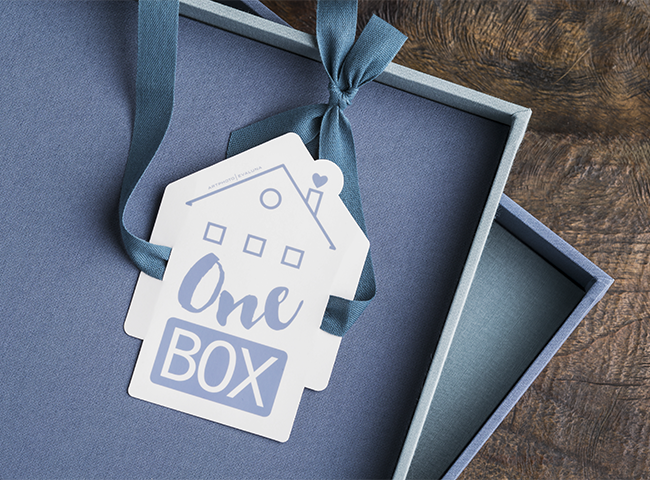 A package is about more than that; it expresses the true identity of the product, displays all the information about it and can become an essential part when it is put on the market. Our packagings have a refined design, their lines are pure, always customisable, and are an excellent way of conveying your brand image and displaying your work effectively. 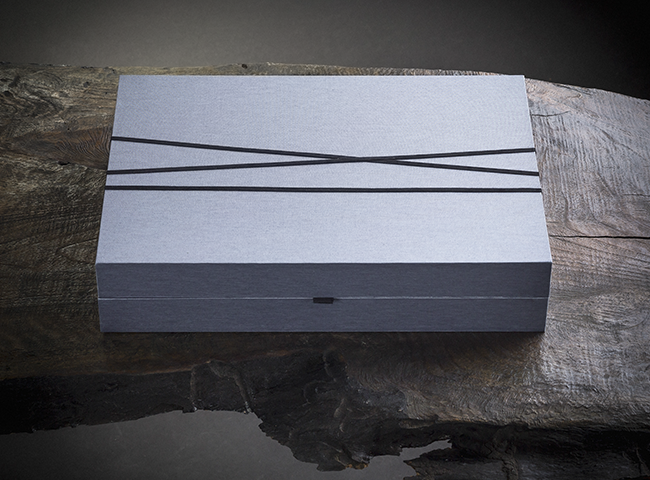 Every product is an original gem, perfect for arousing curiosity, reassuring and inspiring. A colour recalls a flavour, a taste can remind us of a texture, a scent can remind us of a sound. A container can make a product successful: it can become an indispensable part of it. Every day, our senses experiment with sensations that create memories, a source of emotions that we constantly draw on to construct the world we live in. 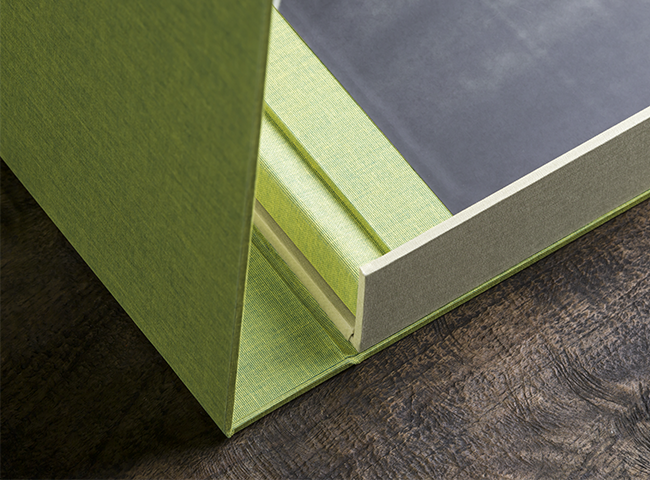 A little Design jewel: a shell with a book-type opening that protects the album in a gentle hug. You won’t have to lace or tie up any more, the solution is here in just one click. Flip opens and closes as simply as saying it. Even with your eyes closed. You can easily browse your album and even put it away in the box. Its pure design has only one frivolity: a fine-textured element made from olive wood that stresses the opening, placed on one side of the box. 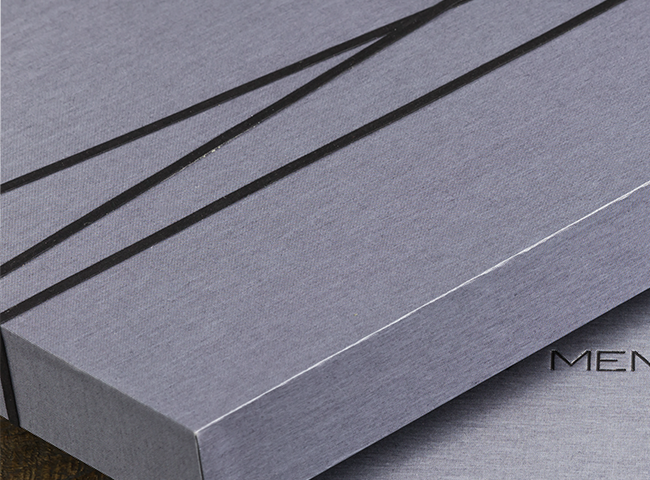 Elegant and discrete, inspired by a minimalist design, a synonym for elegance. That’s the common thread which led to the creation of Snug: two parts of the same dimensions that combine together into a light, modern and warm design. Entirely hand-coated, in monochromatic or two-tone versions, it is reminiscent of the Album, using the same materials as those applied to the cover, and is also embellished on top with an alcantara string. 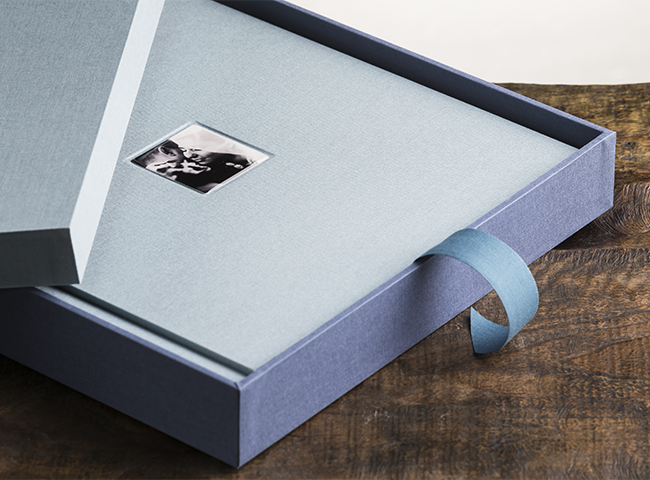 A piece of ribbon is ingenuously placed inside the box to help pull the Album in and out. 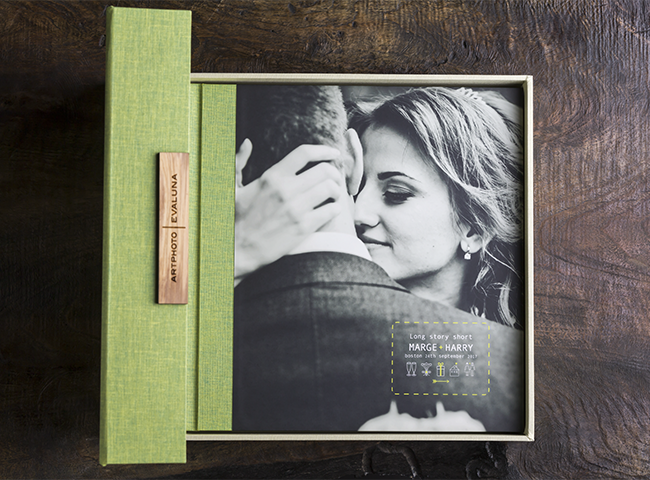 The Snug box stands out as a packaging that’s rich in details and finishing touches. Try it! Be free with your creativity! The possibilities are endless… It’s not just a game of colours, but of textures too! 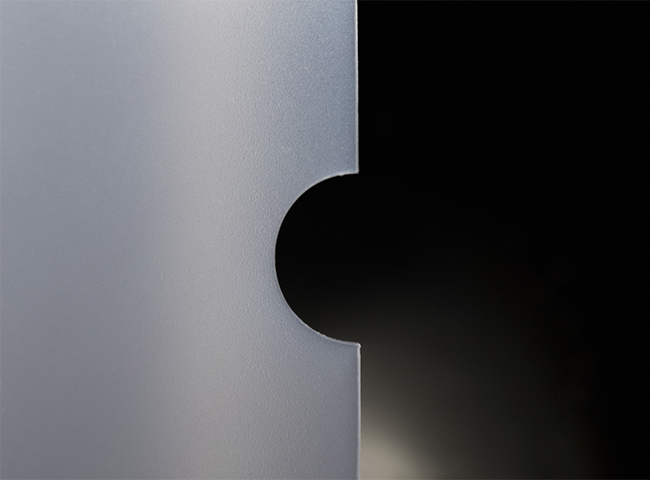 Test the contrasting suggestions for the inside and outside, or use shades of the same colour but with different textured surfaces… our Covers become your own mixing panel. 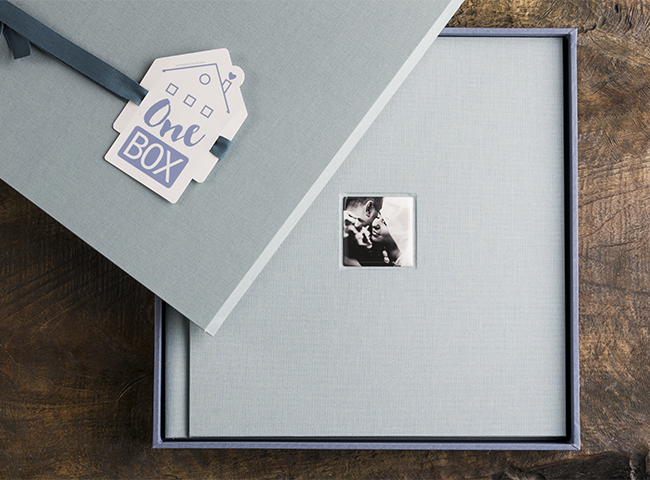 If you love hand-made pieces and appreciate the creative possibilities of Covers, the One Box is definitely for you. 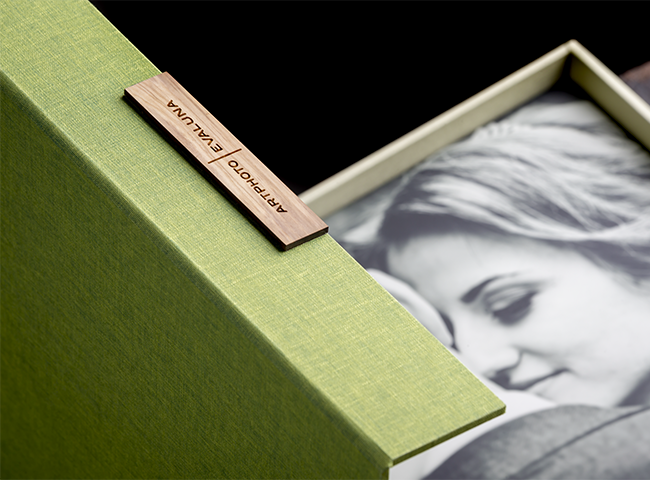 The choice of the Canvas’ colors and weaves completely changes the feeling of the container, which can be supplied in an endless panel of creative solutions, coordinated to the Album it contains. Its simple soul reveals an unexpectedly creative spirit. 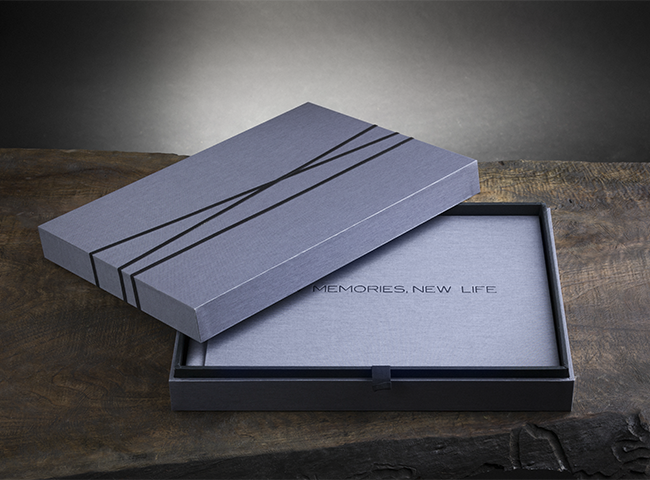 The box is made of a top and bottom both entirely hand-coated and available in monochromatic or two-tone versions. 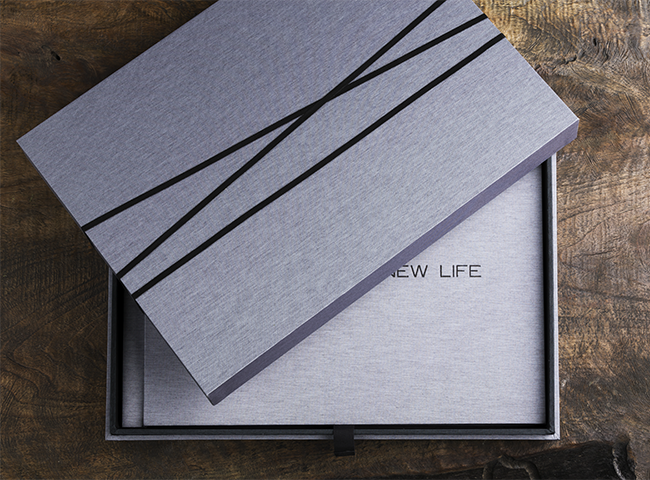 On the outside, a fabric ribbon with the logo printed on a piece of paper finishes this generous packaging. Available in a wide range of fabrics with refined and suggestive colour matching. 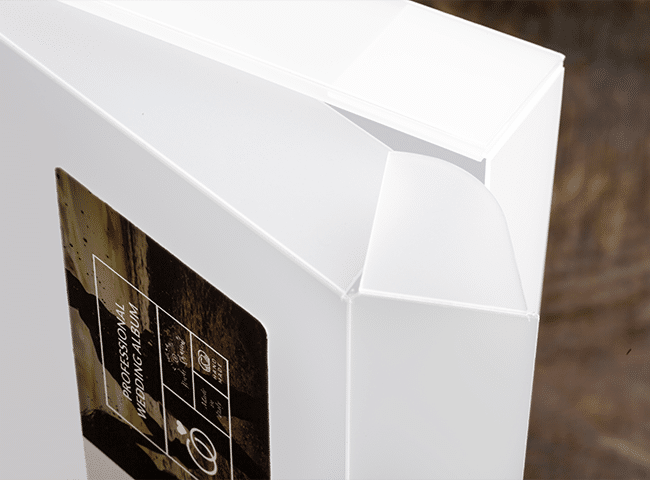 Created from a contemporary material extremely resistant to oxidizing agents, the ideal choice for those who are looking for a sober – though perfect to protect any type of Album – container. 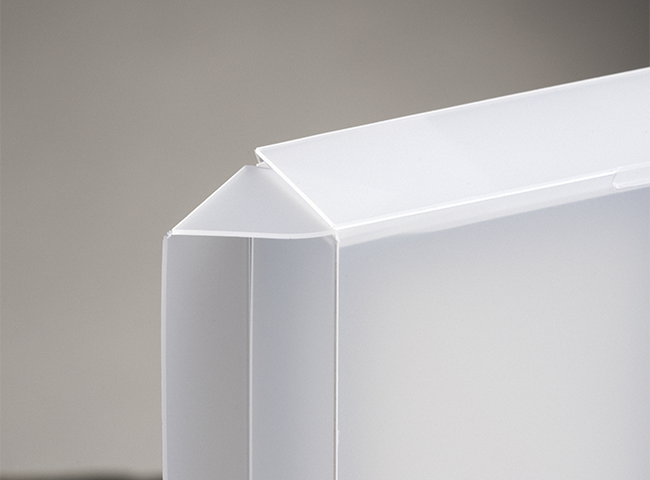 Made of lightweight and versatile polypropylene, the Light Box is available in a Frost version which slightly suggests its contents or in an entirely opaque Milk version. 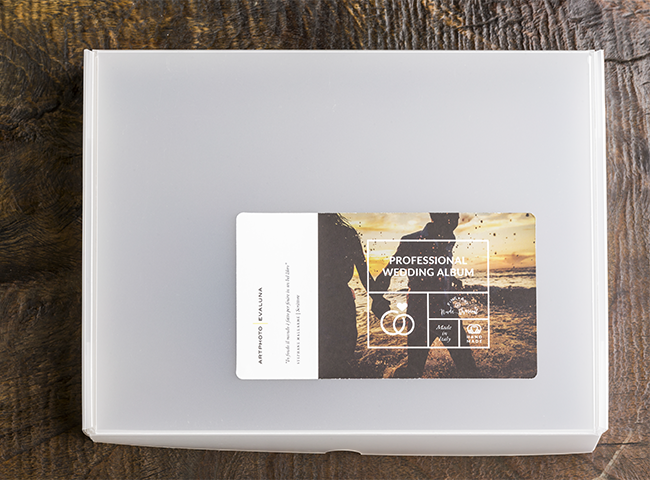 Self-adhesive label with the logo of the collection enrich and complete the product.